My book took me four years to write. To help you understand how devastating that was to me, my Zombie Takeover book took me one month to write, and my Wisdom & Folly duology took me 24 weeks to write. (I was writing a chapter a week for my blog.) And Beast Hunter, my prequel novella for Kill the Beast, took me just two weeks to pound out once the idea for it took hold of my heart, when I decided to expand it from a 5,000-word short story to a 30,000-word novella. 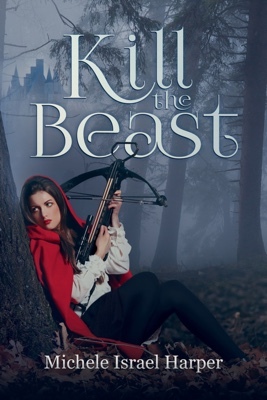 I first started writing Kill the Beast for the Five Enchanted Roses contest in 2014. I remember the deadline being winter of 2014, because I was freezing cold, it was snowing outside, and I was so sick I could hardly see my computer screen past my blurry eyes and runny nose. They were so kind when I pulled out because I was unable to meet the deadline, but then I just kept writing the story. (And writing and writing and writing…) Finally, finally, almost four years later, it is ready. I think the biggest reason it took so long to write is because, since it is my favorite fairy tale, I put an immense amount of pressure on myself for absolute perfection. That was not healthy or very fun, but I kept going, kept pushing through, and I am so pleased with the finished project. Besides, it took Mark Twain 10 years to write Joan of Arc—the novel of his heart, the one he said was the best he’d ever written—so I’m in good company, right? Don’t give up! Many things factored into finally completing Kill the Beast, but the most important one was joining a writing group that met once a week on Thursdays to do nothing but write. In that safe, quiet place without distractions to pull me away from my story, I completed my book. And when I was in tears that the book wasn’t done after four years, these incredible women encouraged me, bought me chocolate, and told me I could do this. And I did. Oh, the other thing that really helped was going to Paris, France in February of 2018. I can’t even tell you how amazing that was. If you can visit the setting of your story—or a similar setting if your story world is off-world—do it! So many things come to life that you didn’t know you needed to notice. Do me a favor: join a writing group that builds you up and encourages you. And if you don’t have one near you? Start one! t works best for you and do it. Don’t ever give up. And one day, when you are holding your beautiful story in your hands, remember that you did what it takes to complete your book and see it through to publication. Not every writer can say that! Michele Israel Harper spends her days as a work-at-home mom and her nights typing away furiously on her laptop. Sleep? Sometimes… She has her Bachelor of Arts in history, is slightly obsessed with all things French—including Jeanne d’Arc and La Belle et la Bête—and loves curling up with a good book more than just about anything else. Author of Wisdom & Folly: Sisters, Zombie Takeover, Beast Hunter, and Kill the Beast, Michele prays her involvement in writing, editing, and publishing will touch many lives in the years to come. Visit her website to learn more and to find her social media links. ← Finding inspiration – with Lego! Wow, congratulations! That was a huge amount of perseverance! Thank you, Kessie! It may take years, but don’t give up on your dream! Hearing your story is so encouraging, Michele! Thank you for sharing with us and your words of encouragement. I recently asked two close friends of mine if they would be my accountability partners and that really did make a difference in actually writing. Aww, thank you, Laura! Yes, accountability helps so much! But so does sitting down and determining you are not giving up until you Finish. This. Story! Thank you so much for hosting me on New Authors Fellowship! I am thrilled to be able to share how hard it was, how long it took, and encourage others along the way!